I adore picnics. There’s something I love dearly about sitting on the ground on a nice day, eating food from a basket, flicking bugs off my sandwich and chasing runaway napkins. There’s a certain charm to all of it. But, there are many things that can turn a picnic into an unhealthy, wasteful experience. Why bother planning an eco-friendly picnic? This year I’ll be planning more eco-friendly picnics than I ever have. I’ve planned some great picnics in the past, but my one issue is always trying to figure out how to pack things without using a bunch of unhealthy plastics, wasteful paper products, or heavy dishes out of the kitchen. We despise plastics (even BPA-free) and don’t even buy paper products anymore. So I usually end up packing lots of glass containers, along with our dinner plates and silverware. But it’s just so cumbersome (and I worry some of it won’t make it back to the kitchen after a picnic). 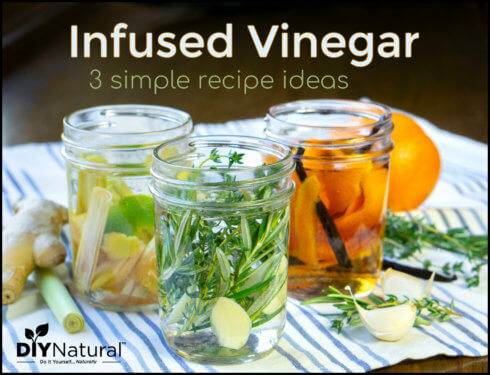 Until recently, I couldn’t find a good alternative to plastic or paper cups, so I would bring our glass water bottles or canning jars with lids – also too heavy (and breakable!) for a picnic. Let’s think about this for a second: do you really want to create tons of waste, eat from plastic containers that could be damaging your health, or risk the chance of glassware breaking while you’re supposed to be having a nice, relaxing picnic? I think we can do better than this. 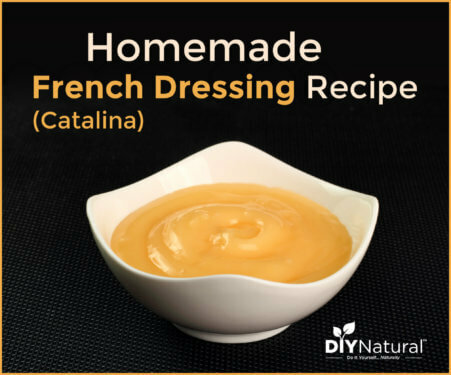 Waste-free picnics really can be done. Matt had better get used to all my favorite picnic foods, because I see many picnics in our future with my new gear. And we really want you to join us this year in planning healthier, waste-free picnics! While this is a sponsored post, we never write about or endorse anything we don’t wholeheartedly love. MightyNest has awesome products, a commendable mission to help consumers live toxin-free and they’re even dedicated to helping your local schools raise money for special projects! Ready to plan an eco-friendly picnic? Spring is the perfect time to make small but mighty changes in a healthier direction. 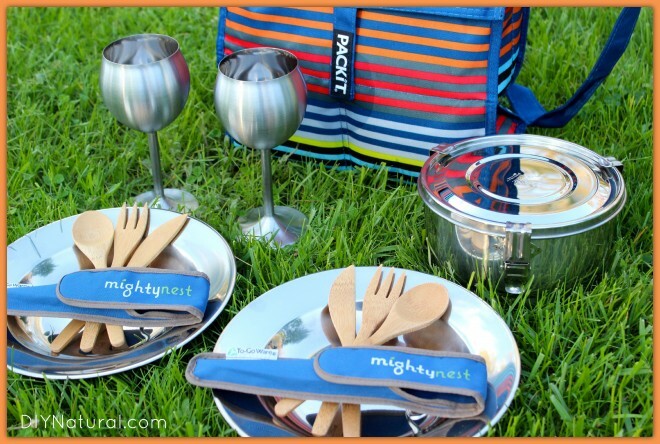 Pledge to use safe, waste-free picnic gear for your family, and you could win $165 of reusable picnic gear from MightyNest. You’ll also have a chance to help your local school win $1000 this month in the MightyNest for Schools “Get Fresh” Challenge! Just click the button below that says “I Pledge” to enter! 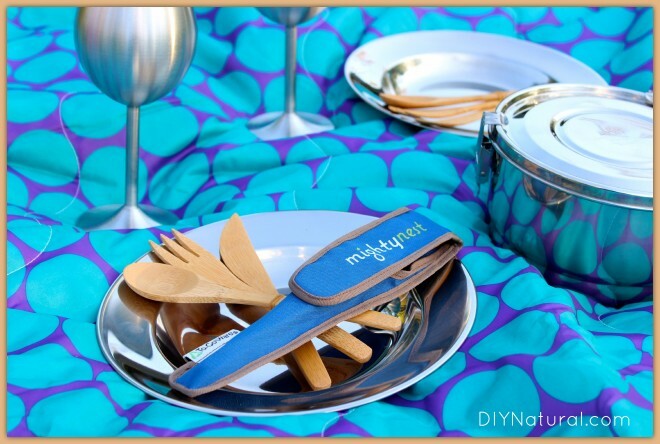 Are you doing anything to make your picnics more eco-friendly? What are your favorite tips for packing a safe, healthy picnic with reusable gear? Share with us in the comments below! Thanks for the intro to Mighty Nest…love their stuff! This post is perfect, I have cleaned up the disposibles and toxic stuff out of my kitchen the past five years, but picnic gear is where we struggle. I have an resuable set for eight that nests well in a basket, but it is old, probably toxic laden plastics. Building up a good picnic collection is now goal of mine! We’re having a picnic for our daughter’s 12th birthday this Saturday! Your post was timely! I’m packing glass(I have three strong males to carry it)and using beautiful linen napkins collected from my thrift store rounds. I bought a big straw picnic basket from a Mission several years ago and we will finally get to use it. I use thicker glasswear and they all make it home wrapped between cloth napkins. I loved the comment about natural wipes. Also the need to reuse, reduce, and recycle is huge; I agree that buying more newly made stuff is far from Eco-friendly. I like to impress my Heavenly Father and earthly mother more than people. Get outside and enjoy your old cotton blankets in the sunshine and fresh air and love your families and friends. 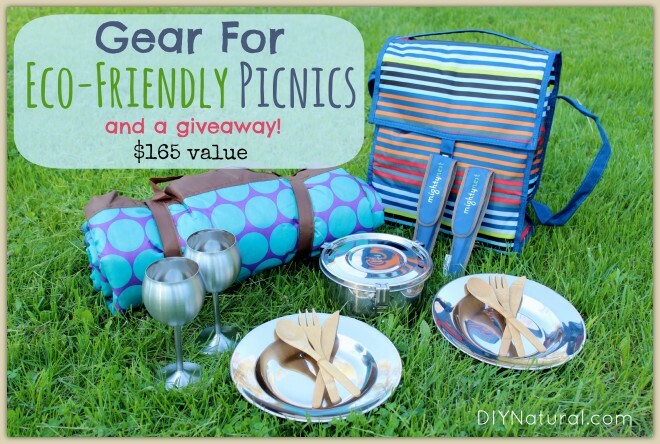 Your picnic gear sounds beautiful and oh-so-practical! Hope the birthday picnic goes well! What a great giveaway! We don’t do picnics, but have many, many family get-togethers at our house all year long. When my husband and I got married several years ago we had purchased “silver” plastic silverware for our reception. We saved all of the silverware from our reception and washed it, and that is what we use now when we have people over. It is so much fun when someone new comes to one of our parties when we tell them to not throw away their silverware, we always get a kick out of their reaction. I know it is not environmentally-friendly to have plastic, but I feel like I am doing a small part by recycling these, over and over again! I entered. What fantastic prizes. Thank you so much ! Best of luck to you Robyn! This is amazing and love the basket! These look beautiful. A bit more romantic than paper or plastic and better for the environment. Ha! Yes! Definitely more romantic than paper/plastic. Very cool! I just picked up some old picnic baskets at an auction last weekend and was wondering what to stock them with. I’ve been trying to get away from the plastics, etc. but the glass is cumbersome at times. I switched to stainless steel straws several years ago (nervously at first…kids & rigid straws, yikes!) and love them, so I’m sure these will be great. Thanks for the information! I am 73, and wish I had my mate to do picnics again, but over the years have jars from stores. I have them in the ice box and freezer, take most foods out of their packages to freeze. Use Corella dishes. Baby wipes natural, are easy to bring back home and don’t blow away. So many things can be used on a picnic. I think this is a wonderful product suggestion and hope all send this on Facebook and other social networks for people to purchase soon. We get foods, and other health ideas, but this one has not been thought of. What a wonderful idea for many of us not thinking about this. Like all short of funds, but will consider this as a gift when sending something for friends and family that do have picnics. This is one web site thought that I never pass with a delete. Always enjoy the wonderful things that they have, and they are all ideas to better our life’s. 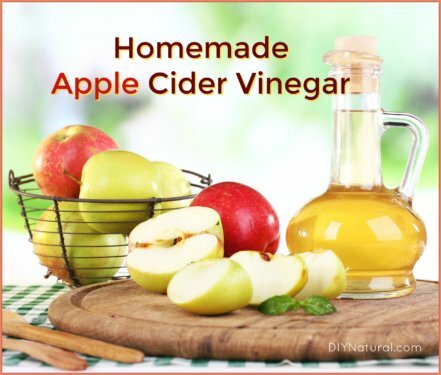 I try and forward anything from diynatural, I think God is behind this web site, who else cares enough to keep us healthy. And I hope that this picnic idea and suggestion will be appreciated and used. Keep healthy all. We’re so glad you enjoy our site Tricia! I love your idea of giving this set as a gift – it would make a great wedding gift. We got a HUGE picnic set for our wedding, which was all plastic, and unfortunately never got used because of this. Even better, my friend Shay’s napkins!! I don’t remember having seen a DIY on homemade napkins yet….but if you don’t sew, support someone who does and we can all get on the road to reducing waste. The only thing I didn’t see were my handmade napkins 😉 Looks fun!!! You’re so right! I always take cloth napkins on our picnics! We stick with Bio-degradeable and glassware, no plastics. If we are forced to use bottled water we recycle the bottles by reusing them till they are no longer serviceable then they are recycled to the plastics bin. My brother spent time in India and brought back stainless plates, “glasses” and utensils. They will last him forever. Also, camping gear has these same items in very lightweight metal. I would love to have a beautiful picnic set. I love this site and normally love your posts. But I have to put my two cents in here. The most eco-friendly items are ones that are already in existence. An old cooler, an old blanket. How many resources were wasted making and transporting that brand spanking new nylon and polyester (both virgin plastics) blanket? I have no problem with you pitching stuff, but newly manufactured items are not “eco-friendly”. LOVE this.. it makes me HAPPY to see people support LIFE in ALL ways! I love information abut natural things. This is great to know because my husband and I take make trips spreading the Word of God, and I pack a lot of things in plastic containers, even our water. The only stainless steel container is our coffee thermos. Even if I don’t win, I will be buying these items, because they are truly better for our health. I try to buy plastics that do not have BPA and chemical break down, in the heat nor cold. God bless whosoever wins. We don’t go on a lot of picnics, but every year I have a family reunion at my house for about 25 people. A friend and I share a set of inexpensive glass plates and silverware (about 30 pieces of each). We also use glass cups instead of paper, and cloth napkins. There is virtually no waste at these parties, as everyone brings a potluck dish from home. Leftovers go home in the same dish, plates and silverware go in the dishwasher, and there is no extra trash by the curb the next Tuesday. Sounds perfect! I love hearing people’s ideas for keeping gatherings waste-free! I love this! I have a wonderful picnic basket that came with heavy duty plastic plates and utensils, but I would am no longer using plastic. I would love to have this and to enter, but I homeschool so I can’t choose a school to pledge for. For my home, I pledge to do what I can when we and as we can afford it. Hopefully some day, I’ll be able to buy a set! I love this!!! The only thing missing is a tiffin box!! The picnic looks fantastic! !